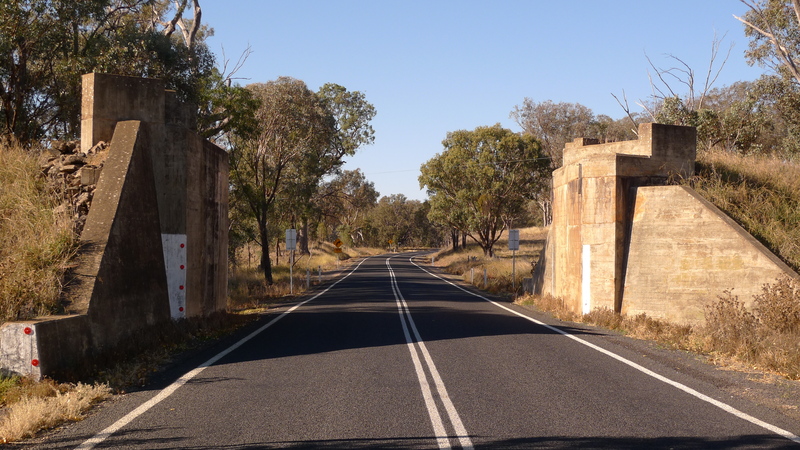 This weekend, west of the divide, to Gulgong. Since I last posted about this town (and here), the hospital has closed. There is a kind of clinic being constructed to replace it. This is an unconstructed bridge for an uncompleted railway at Spicer’s Creek on the Goolma road to Wellington. You are currently browsing the Stumbling on melons blog archives for April, 2013.